"The Rudra-Adhyaya, known also as the Satarudriya, occurring in the Yajur Veda, is a soul-stirring hymn offered to the all-pervading Almighty, designated as Rudra-Siva. He is present in auspicious, benign forms by way of sustenance of all things created, and also as terrible forms which He assumes at the time of the dissolution and destruction of the cosmos at the end of time." 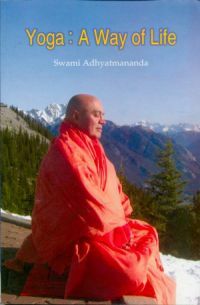 "This Rudra Adhyaya, this Satarudriya, this hymn should be chanted, heard, and made an instrument of daily prayer to God, by which one�s mortal sins are destroyed and the spiritual light is lit within�by which one�s internal eye beholds that Presence which outwardly is manifest as the universe and inwardly as the mind and consciousness. 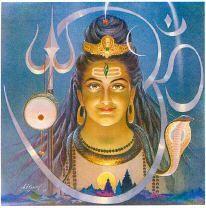 Thus, this is a universal meditation which is expressed in the Vedas as a hymn of prayer to the Supreme Being, here addressed by the epithet of Rudra, Siva�the One without a second." 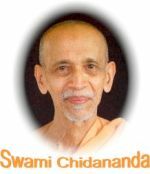 - Swami Krishnananda << More> >. Let your keynote be divinity. Let your consciousness never swerve from this inner centre of divine consciousness, awareness of your divinity. Let that be the basis for all your thoughts and feelings, your actions. Think of it always, remember it always, contemplate it always, dwell upon it always, be centred in it always, be aware of it always, so that by sheer persistence and perseverance in this affirmation of truth, you emerge into a new being. The Physical techniques of Yoga are the stepping stones to meditation. According to Patanjali, Yoga is the cessation of the modifications of the mind. 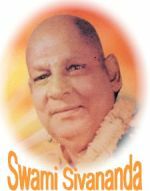 Continuous twenty four hours worship services will be offered for the peace and prosperity of the Mankind to Lord Vishvanath at Sivananda Ashram, Ahmedabad. All are welcome to holy Shivaratri worship and receive the grace of God Gurudev. Meditation is prolonged concentration. The process of meditation is like the pouring of oil from one vessel into another in a steady, unbroken stream. Meditation is an effort in the beginning; later on it becomes habitual and gives bliss, joy and peace. Meditation is a positive, vital, dynamic process. It transforms man into divinity. Meditation is the key to intuition. Meditation is the key to unfold the divinity or Atma hidden in the names & forms. Meditation is a vital part of daily living. Therefore, meditate daily. Even a little meditation daily will raise you a little higher and little nearer to God. shut down in Meditation the conscious mind-that part of your mind which thinks of the external world, your body and its wants. Your life and your meditation must become one. As gold purified in a crucible shines bright, so, constant meditation on Atma makes the mind pure and effulgent with spiritual luster. Meditate upon purity and other similar qualities associated with purity- qualities like simplicity, guilelessness, frankness, truthfulness, open-heartedness, innocence, goodness etc. When you enter into deep meditation, you will realize balance, composure, serenity, peace of mind, stadiness, fearlessness, higest dispassion. Inner spiritual strength, perfect peace, knowledge and bliss are the fruits of meditation. Meditate regularly. You will attain the Goal, God �realization.